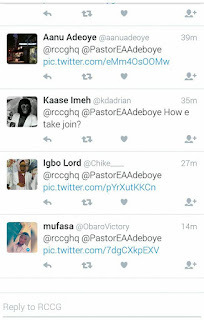 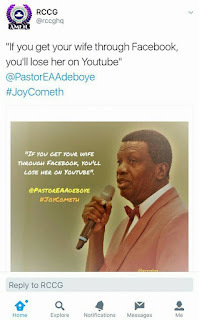 Church of God, Pastor E.A Adeboye,has advised his Church members against getting their wives from Facebook. 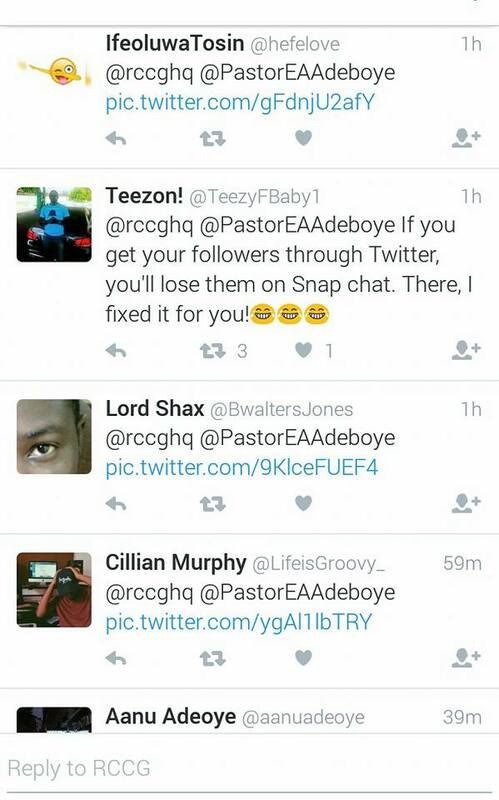 was posted on the Church's official Twitter handle. 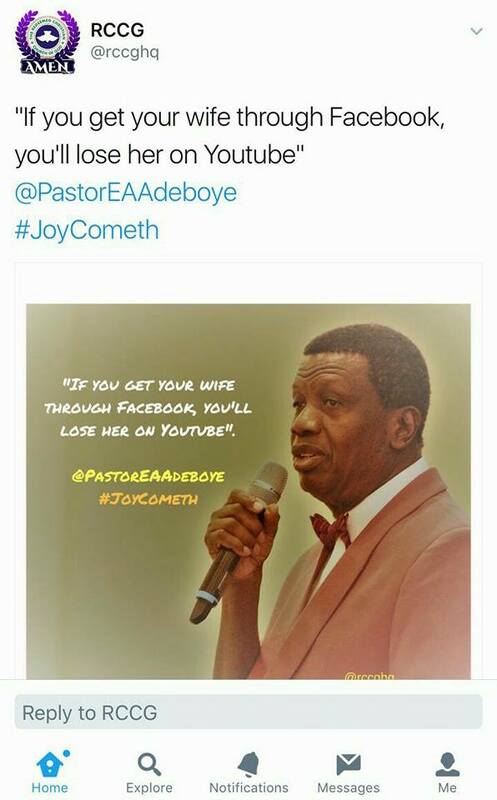 0 Response to ""If You Get Your Wife Through Facebook,You'll Lose Her On Youtube" - Pastor Adeboye "